For the past 40 years, we have been providing drain unblocking Alcester services. During this time, we have been able to expand our capacity and experience and perfect the best methods to help get rid of those smelly blocks. Blocked drains are a pain because of the health hazards that they pose as well as the nasty smell that they can subject your home to. With our team, we believe that there is no blocked drain in Alcester that is too much for us. We work round the clock and have an emergency call out service to cater for you when the block happens when you least expect it. We offer both commercial and domestic drain unblocking in Alcester services. You can rely on us to handle blocked drains in your office with ease and while causing minimum disruption to your business. Our team of professionals has been well trained to cater to all types of blocked drains and have a friendly approach to service. We know that peace of mind is important to our clients and we do our best to ensure that you’re content with all our efforts. To guarantee the best results we employ the most updated technology like CCTV Drain Surveys which makes it easier to locate the cause of the drain in a short period of time. With our in-house team of blocked drain Alcester experts and over 40 years of experience, we are your best bet to unblocking drains with ease and quickly. 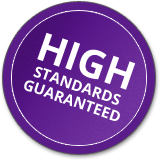 We hold our service to high standards and provide high-quality service to our clients. We are always ready to go the extra mile with our drainage unblocking Alcester service to ensure that our clients are happy and comfortable. Other than unblocking your drain, we also offer other services like drain surveys and drain jetting. Affordable and professional – unlike most companies, we don’t go for money that we have not worked for. Our charges are fair and transparent and we only charge for work that needs to be done. We also offer a service that you will be happy you hired. 40 years of experience – over the years that we have been unblocking drains, we have learned the best techniques in the industry and the best procedures to unblock all types of drains no matter how big or small they are. We have the capacity to handle any type of blocked drain with ease and finesse. Round the clock emergency service – some drains don’t have a notice. They occur at odd hours of the day and when you least expect them to. To ensure that you’re always covered in such instances, we have a 24/7 emergency service that you can reach out on any day of the week. Our drain unblocking Alcester emergency service is capable of handling both commercial and private premises. Give us a call today and a member of our team will be able to visit you and unblock your drain in the shortest time possible. If you need blocked drains in Alcester services you can rely on our well-established services to get you out of the mess.